Question arise by most of beginners who wants to use WordPress as blog publishing tool for own use. So, we decided to write a very simple tutorial about “How to install WordPress on Wamp Server?” with some visual snapshots. We are covering each and every point step by step to install WordPress on Wamp Server on localhost (local computer machine). We are assuming that Wamp Server is already installed on our local computer machine. And for this tutorial I have installed my Wamp Server in E Drive of my local machine. 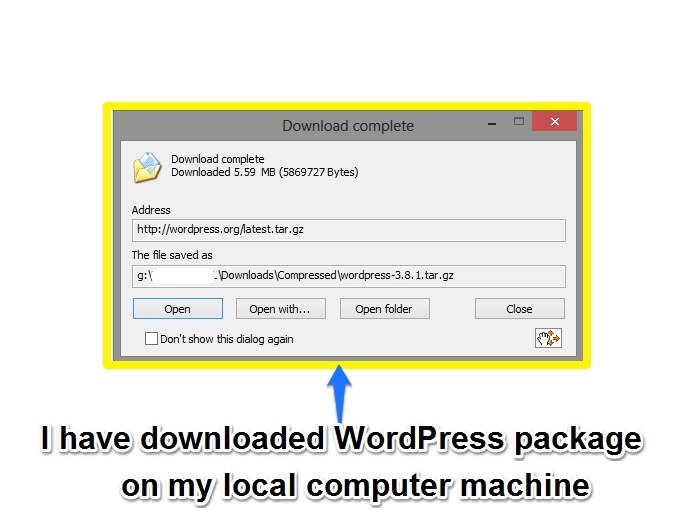 First download WordPress, using following download link http://wordpress.org/download/ download the latest version of WordPress zip/tar package on your local system hard drive. 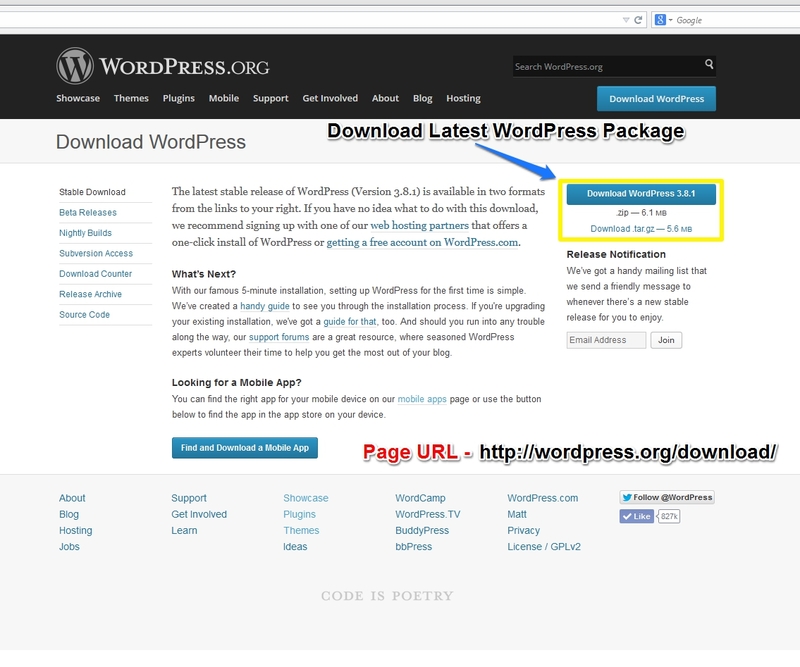 After click on download link, WordPress installation package has been downloaded. 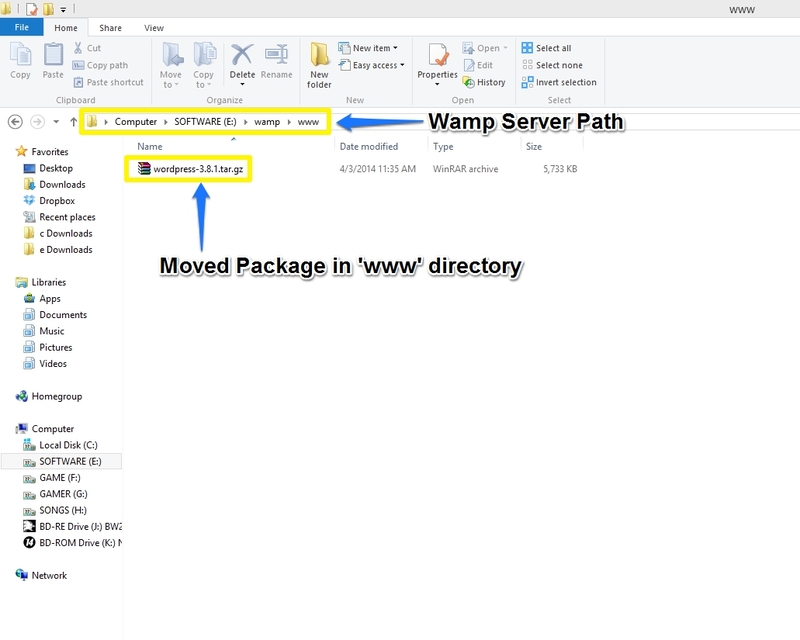 So, I am going to move the downloaded WordPress package in Wamp Server’s E:\wamp\www\ directory. 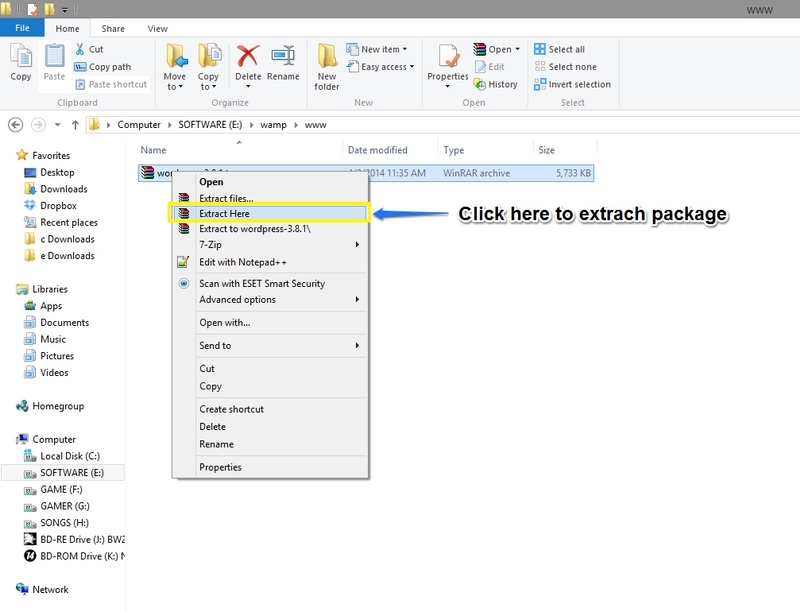 Now unzip package by right click on it, and select list option ‘Extract Here’ same as below snapshot. 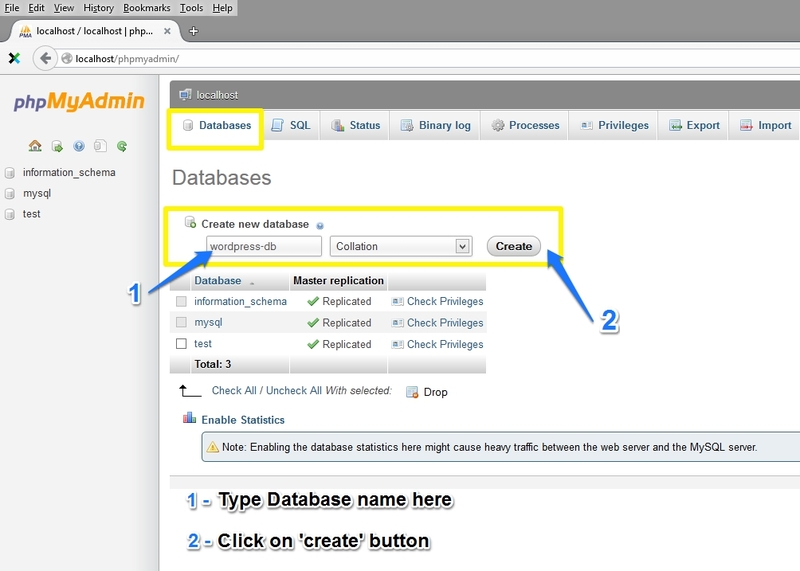 Now go to phpmyadmin to setup a database for our WordPress installation. Type following URL – http://localhost/phpmyadmin/ in any your favorite browser to reach phpmyadmin administrator dashboard. 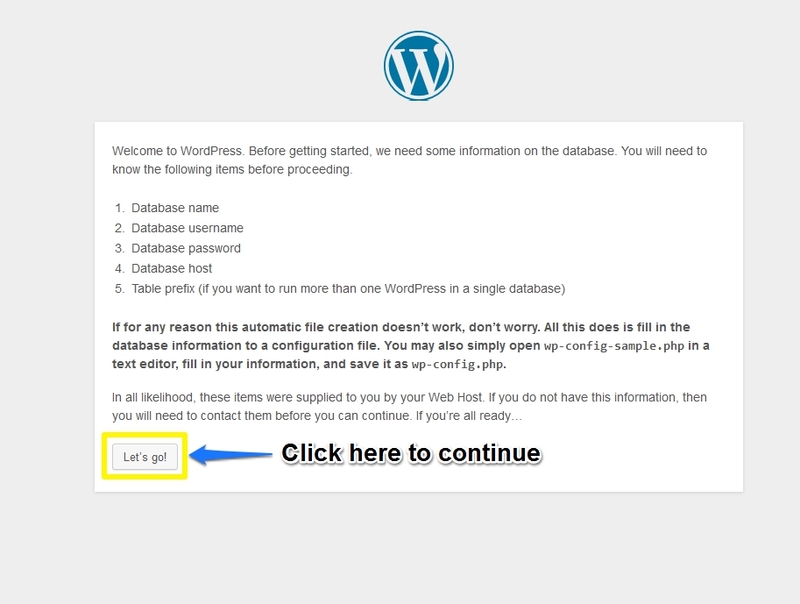 New, we are adding a new database “wordpress-db” for our new WordPress blog installation, follow snapshot instructions. 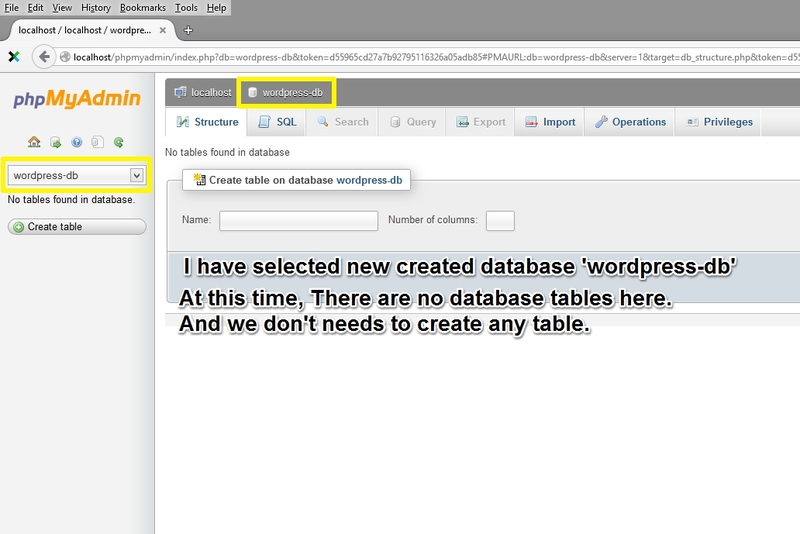 We has created a new database named with “wordpress-db”. Now select created database from left side database list. Now type the following URL in your favorite web browser http://localhost/wordpress/ and hit enter key. 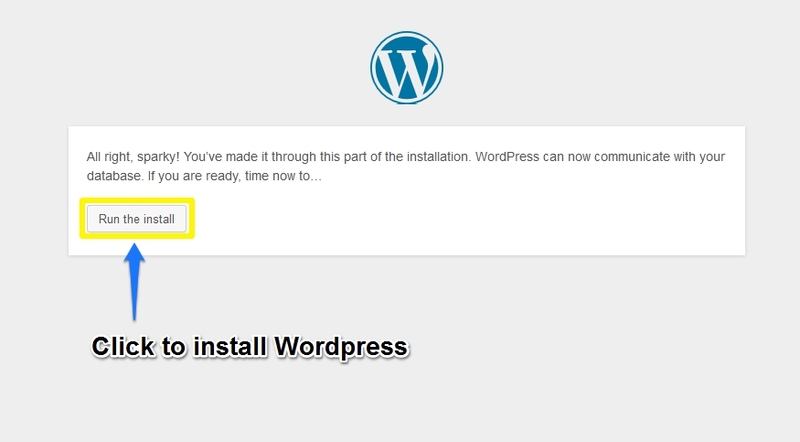 This is first WordPress Installation screen displaying and asking for creating “wp-config” file. 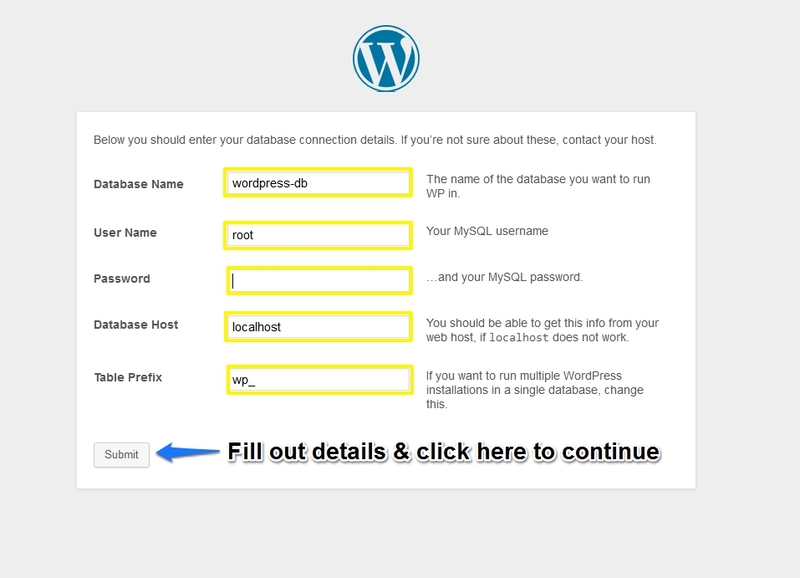 Wp-config is default configuration & setting file used to setup WordPress default settings and values for initial blog. 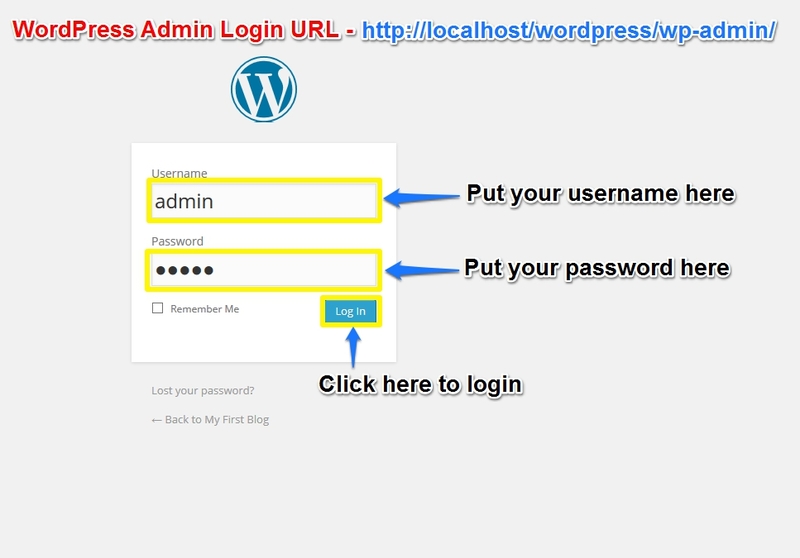 Database Username – As we installing WordPress on local machine then default Database Username “root” is used by phpmyadmin. 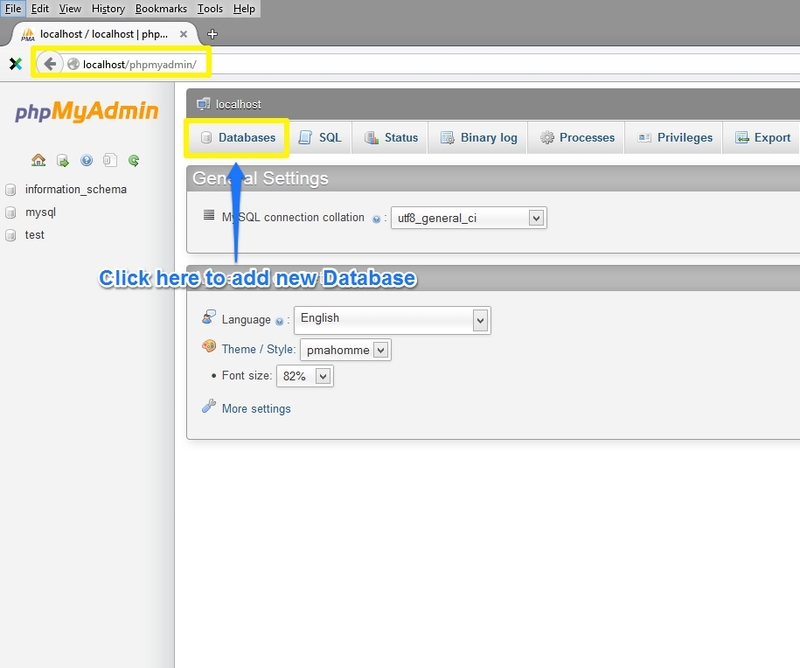 Database Password – By default phpmyadmin usage no password, so keep it blank as of now. But you can change it by visiting phpmyadmin admin dashboard, then open privileges tab and edit the default record and set a password. Database Host – Use “localhost” for database host because we are working on local computer machine. Put all correct fields values for installation. 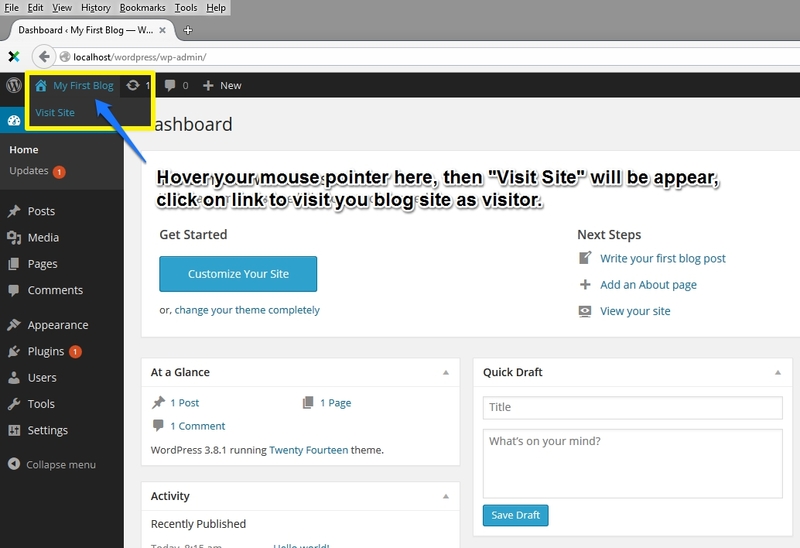 Now run the Run the WordPress installation by pressing “Run the Install” button on below screen. Now, at the final step WordPress installation asking to setup administrator account and blog title. 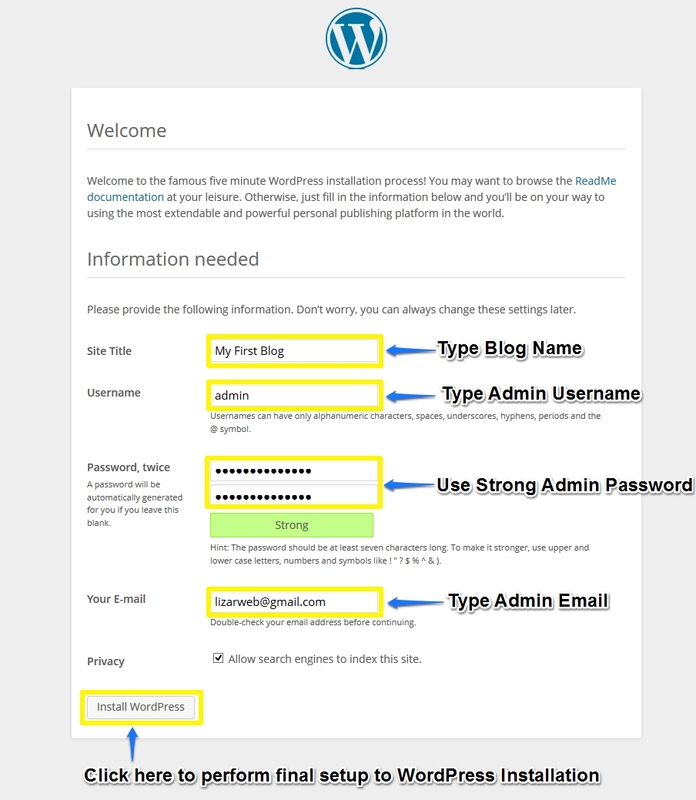 Set a unique WordPress Blog Title, and choose a strong Username & Password for administrator account. Username & Password will be used later for log-in into your WordPress admin dashboard. 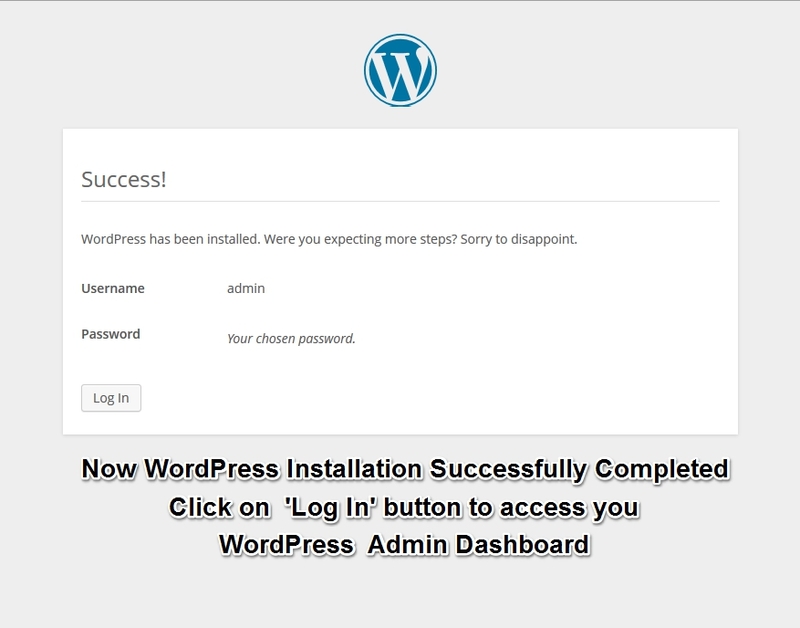 Below screen showing your WordPress installation has been successfully completed. Now you can login by using previously created Username & password. 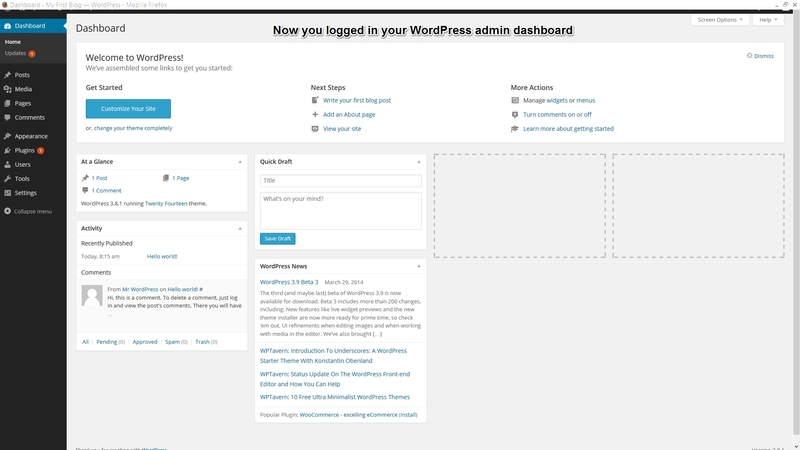 Now you are logged in WordPress admin dashboard. 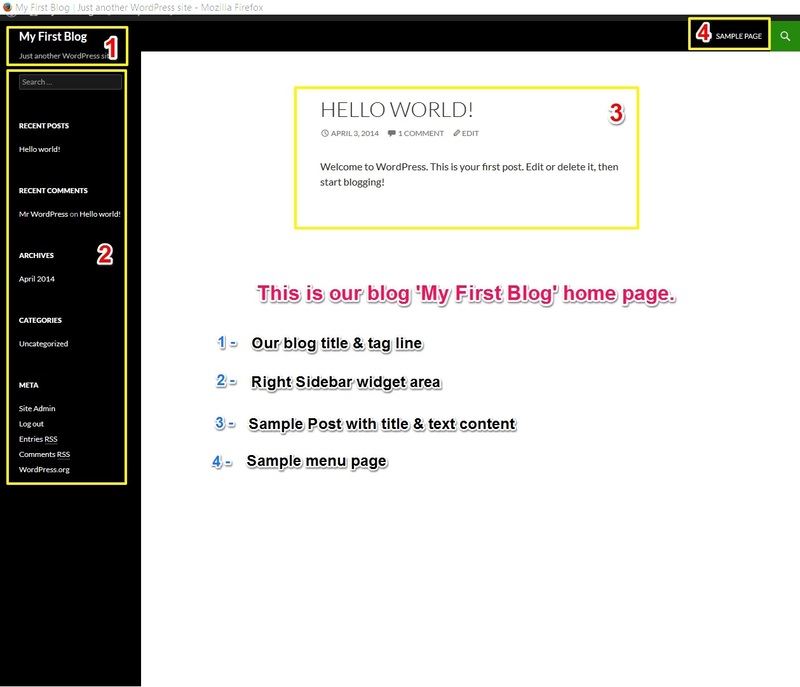 You can visit your blog home page following below snapshot. We hope our tutorial on WordPress installation in Wamp Server is really useful for every WordPress beginner and appreciate to each & every visitor reading & learning this article. Please provide your feedback about this article in below comment box..